My local A&P is doing my annual on my 2007 CTSW. My engine mount rubbers are cracked and need to be changed out. I ordered 16 silent block fiat engine isolators from FD today. Question: How difficult and how much time would it take an experienced IA to change these out? Any other tips are always appreciated! If they are experienced with CTs, a day. But even that depends on a lot of factors. Sometimes you can disconnect a few hoses, hold the airplane up with a stand under and aft of the firewall, and dismount the engine T and swing it to the airplane's right. Some airplanes don't have a long enough wire loop to the engine to do that though, and require a lot more work. That’s what I’m afraid of. I’m thinking the job would be best if combined with the full hose/rubber replacement. With that said can a IA with tons of experience in turbines, jets, Lycomings and Continentals tackle a full hose job because of their vast experience? Every time I call these operators they kinda give me the impression that they can do this job no problem. 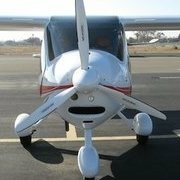 My local guy is willing to tackle the job and he has 14 years of experience but admits he’s totally unfamiliar with the aircraft and engine but is confident he can handle it. ? Flight Design West formerly out of Carson City Nevada had an $8/hour 'kid off the street' to remove my engine and install my firewall blanket. The guy that did dumb things to my CT and cost me $$$ has a certificate saying he's certificated. The engine has to more or less come off or at least swing out far enough to remove the long bolts. Better to just do it during hose change. Otherwise you pay to remove the engine twice. I can picture that! I’m really hoping this kid has hidden talents that can come to life and tackle the Rotax/Flight Design CTSW thing naturally! He admitted to me today the Rotax is much more suffisticated than the old Lycs and Conts he deals with. He was amazed at the volume of hoses and wires on top of the moter. I told him the Rotax is actually bulletproof statistically as safe or safer than the older Designs. I’m pretty happy I have a young guy that is willing to learn and expand his horizons learning as much as he can about the Rotax! I have no problem with someone who takes their time to do it right. You can have someone who's never touched the engine before, and if they take their time they'll get it right. Often when I'm learning something new, I wind up sinking in way more time than I actually bill out. My unsolicited advice is to fly down to Tucson and let Roger do the whole thing . . . hoses, engine silent block spacers and condition inspection, all at once. You won't be sorry! While he is doing his thing (for 3 days), rent a car and check out the Pema Air Museum (day 1), Davis-Monthan boneyard (day 2), then a day of pure rest, for the flyback on day 4. The job will be done right (with no guessing or experimenting), and it will be done at a very competitive rate. Like I said before . . . you won't be sorry. Roger used to own and fly a CTSW for many years and knows that Rotax better than anyone I have ever met. 1) My engine mount isolators appeared cracked for *years*. I deferred the maintenance because I wanted to do the Rotax rubber/hose replacement at the same time I replaced the isolators. When I actually did pull them out, only the very outer visible edges were cracked, the part of the isolator that is important, where it holds the bolt, was perfectly fine. I think the outer edges where the isolators get bulged and stretched are prone to cracking, especially since they are subjected to direct engine heat. I don't think that necessarily means they are going bad. In fact, my new isolators (less than six months on them) already have tiny cracks in places, in spite of me treating them with silicone grease as recommended by Roger. I'm not concerned. If you can rub them and pieces flake off, they are probably in trouble. Otherwise I'm guessing they are still serviceable. 2) Getting to the isolators means pulling the engine. It's not that hard to do, but it does take some time. An engine hoist makes it much easier. You only have to pull it out about 6-12 inches from the firewall. But honestly, if you have a rubber replacement coming up in the next couple of years, I'd defer it until then if you mechanic will agree to it and your mounts are not getting flaky as mentioned above. I had planned on that last summer. I scheduled with him then wife got quite sick then the plane ran out of annual then I became hesitant to to fly that far. Then I took it to a outfit that works on jets etc. After a few of his questions and comments I got the hell out of there. My service challenges have been terrible since owning this airplane! Do you have some pictures of your mounts we could see? I’ll get some after I get the plane back from the annual. Probably tomorrow. It’s snowing here again! If I were replacing the engine mount rubbers I would also change out 6 hose at the same time. I would replace the fuel feed hose from the firewall to the gascolator. I would replace the large coolant hose at the water pump. Finally I would replace the 4 lower coolant hoses. All pretty easy to do with the right clamps and tools, except the large coolant hose can be a bear. Agreed, do everything on the back of the engine that you can get to, while you have it off. Same as Andy, I flew with my isolators looking so bad for a few years but when removed they were actually in good condition. You can't tell if they are in good condition just by look. They may look okay, but in truth they would need to go on a balancer to see what the vibration level is. Vibration can damage the steel engine mounts and cause cracks, muffler cracks, gearbox issues, internal carb issues, ect.... They are supposed to be changed at the 5 year rubber change. If someone doesn't do this and leaves them in until the next 5 year which would then be 10 years they aren't doing you any favors. I just saw a Highlander this last week with a broken ring mount bolt that was snapped off clean right at the mount. The mount is now trashed. Spent this last week in another Rotax school. Learned about the 915. That’s what I want to put in my CTSW!?? Not for $36k when you can get a new IO360 for $10k less. The 915 is a specialty engine, IMO. Caution: thread drift . . .
Then I vote your next one to be an experimental (E-AB) RANS S-21, with the 180 hp Titan 340. That's gonna' be a great airplane. You could even configure it as a 145 kt. tail dragger (MTOGW 1800#). could even configure it as a 145 kt. tail dragger (MTOGW 1800#). I definitely agree they should be changed at the five year maintenance. Mine were looking cracked at 3 years, and I left them until the 5 year point. I would not let them go longer than the five year point no matter how they looked.